A real bumper crop of reviews for y'all this month -- the most important of which being, without doubt, the brand-new Akira: Special Edition DVD! Like so many of us who got our anime start with Akira, this is certainly a must-buy. Also worth noting this month is the start of a new feature on the site -- Each month we review a different Japanese snack food, and each month YOU get the chance to order that very same item from jsnacks.com at an astounding 30% discount! Enjoy! 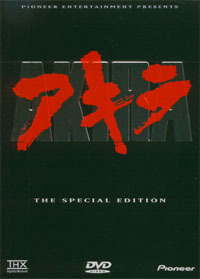 If you don't buy the remastered version of Akira on VHS or DVD then you can't possibly consider yourself an otaku. Pioneer has meticulously remastered, redubbed, and resubtitled the entire movie and given fans exactly what they never knew they wanted in the form of a second disc full of extras. Do yourself a favor and make a shrine for this one on a shelf. The year is 0079 of the Universal Century and the One Year War is still on. 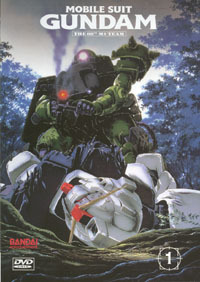 The Earth Federation has begun mass production of the Gundams while the Duchy of Zeon is developing even tougher Zokus. In the jungles of the Asia the cogs begin to fall into place that may finally lead to a resolution to the war. 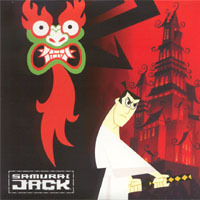 In a future where a shape-shifting demon rules the Earth, only a samurai warrior, transported through time, has the power to restore peace. 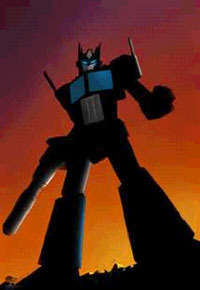 Take a trip down memory lane with the most complete photo-guide to the Transformers toys on the market. Antarctic Press's famous Prefect Collections of Ninja High School and Gold Digger make the ultimate ground-work for a series of books that chronicle all that Transformers was and is. Wizard: The Comics Magazine came from humble beginnings and has become one of the most read and respected sources of comics information -- but does it have what it takes to cut it in the anime field? 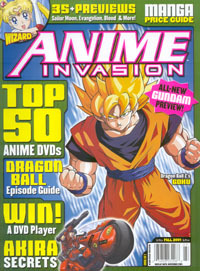 Wizard's latest spin-off magazine, Anime Invasion, seeks to test the violent waters that many other magazines have been shipwrecked in. It's got the first playable female trainer and a cool 'crystal' title. It's Pokémon, and you know little kids will buy it just because they can. 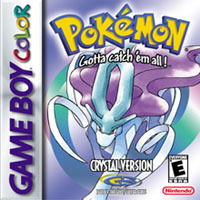 Not much is new in this effort for one of Nintendo's flagship series, but Pokémon Crystal is a solid game for the Gameboy Color or GBA on it's own merits. After a number of singles and music videos, J-Pop Princess Eriko Imai finally releases her first solo album. Bomb, or beauty? Read on to find out! 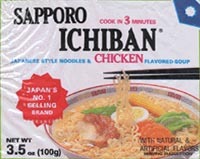 Ramen, or "gakusei ryori" ("student cuisine") as many like to call it due to its el cheapo price, is a staple in the diets of not just otaku, but anyone who likes a good noodle-based snack. When Animefringe got their hands on some of what's supposed to be the best ramen around, Sapporo Ichiban, we just had to put in our two cents.